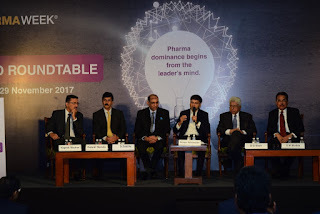 Mumbai, November 29, 2017: The 2nd edition of the celebrated India Pharma Week, a UBM India initiative -- introduced last year to celebrate a decade of CPhI & P-MEC, UBM’s flagship engagement platform, and the world’s leading Pharmaceutical networking event -- witnessed one of its most significant events, the CEO Round Table. 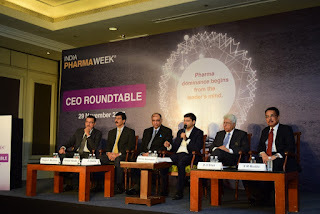 The exclusive, closed-door Round Table was a congregation of India’s most influential CEOs, Presidents & Founders from leading pharmaceutical companies, and Policy Makers & Senior Representatives from Pharmaceutical Associations who engaged with one another on the vital issue of Make in India – Ensuring India’s Pharma Supremacy with a special focus on affordable healthcare in the urban and rural areas in India. “Meanwhile, the US - the largest exporter of Indian generics -- has started looking inwards at its own domestic market. Hence the subject of Ensuring India’s Pharma Supremacy- Make in India becomes critical. The reasons and solutions for this gap were discussed by the noted master strategists who drive business in the pharma sector. The CEO Round Table is an extremely proactive initiative with the White Paper Report that will be presented to relevant policy makers.” he further added. 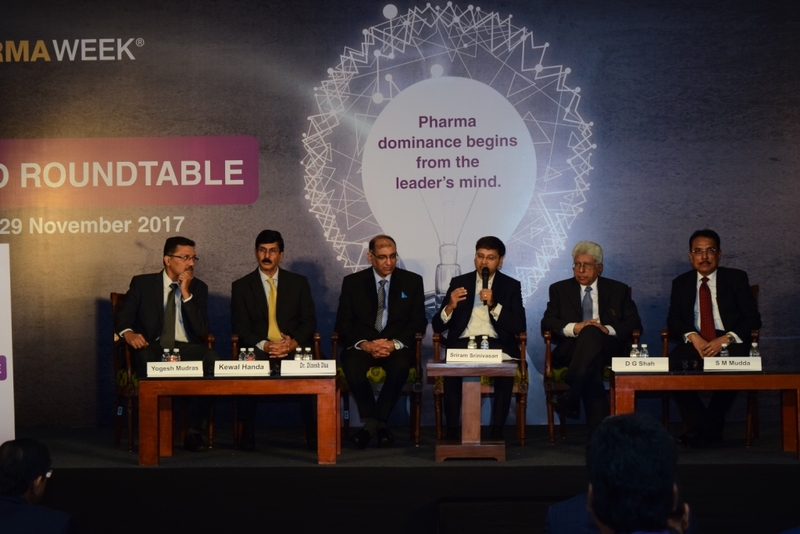 The best-in-class industry professionals who were a part of the exclusive meeting included D G Shah, Secretary General, Indian Pharmaceutical Alliance; Dinesh Dua, CEO & Director, Nector Lifesciences; S V Veeramani, Chairman & MD, Fourrts (India) Laboratories Pvt Ltd; Prashant Nagre, CEO, Fermenta Biotach; Ranga Iyer, Former MD, Wyeth; Rajiv Gulati, Former President, Ranbaxy; Suresh Subramanium, Senior VP & Head, Branded Formulations, South Asia; Ashok Bhattacharya, Executive Director/ Country Manager, Takeda Pharmaceuticals India Pvt Ltd; Prof. Pierre Pienaar, President, WPO; Dev Prakash Yadava, Managing Director , Shardachem; Dr. G.M. Warke, Founder & CMD HiMedia Laboratories; A. Vaidheesh, MD, GSK; Ziva Abraham, CEO, Microrite Inc; Srinivas Lanka, Vice Chairman Pharma and Bio Taskforce, Andhra Pradesh Economic Development Board; Kewal Handa, Director, Salus Lifesciences; B.G. Barve, Joint Managing Director, Bluecross Laboratories Pvt Ltd; S M Mudda, Director Global Strategy, Microlabs and Mr Yogesh Mudras, Managing Director, UBM India. A representative body of the group comprising Kewal Handa, Dr. Dinesh Dua, Sriram Shrinivasan, S.M. Mudda and Yogesh Mudras later interacted with the media to discuss the key tenets of its proposals.